If a man steals an ox or a sheep, and slaughters it or sells it, he shall pay five oxen for the ox and four sheep for the sheep . . . He shall surely make restitution; if he owns nothing, then he shall be sold for his theft. If what he stole is actually found alive in his possession, whether an ox or a donkey or a sheep, he shall pay double (Exodus 22:1-4). If a man gives his neighbor money or goods to keep for him, and it is stolen from the man’s house, if the thief is caught, he shall pay double. If the thief is not caught, then the owner of the house shall appear before the judges, to determine whether he laid his hands on his neighbor’s property. For every breach of trust, whether it is for ox, for donkey, for sheep, for clothing, or for any lost thing about which one says, “This is it,” the case of both parties shall come before the judges; he whom the judges condemn shall pay double to his neighbor (Exodus 22:7-9). And if a man borrows anything from his neighbor, and it is injured or dies while its owner is not with it, he shall make full restitution (Exodus 22:14). Then the Lord spoke to Moses, saying, “When a person sins and acts unfaithfully against the Lord, and deceives his companion in regard to a deposit or a security entrusted to him, through robbery, or if he has extorted from his companion, or has found what was lost and lied about it and sworn falsely, so that he sins in regard to any one of the things a man may do; then it shall be, when he sins and becomes guilty, that he shall restore what he took by robbery, or what he got by extortion, or the deposit which was entrusted to him, or the lost thing which he found, or anything about which he swore falsely; he shall make restitution for it in full, and add to it one-fifth more. He shall give it to the one to whom it belongs on the day he presents his guilt offering to the Lord (Leviticus 6:1-5).
. . . When a man or woman commits any of the sins of mankind . . . he shall make restitution in full for his wrong, and add to it one-fifth of it, and give it to him whom he has wronged. But if the man has no relative to whom restitution may be made for the wrong, the restitution which is made for the wrong must go to the Lord for the priest (Numbers 5:5-8). Then David’s anger burned greatly against the man, and he said to Nathan, “As the Lord lives, surely the man who has done this deserves to die. And he must make restitution for the lamb fourfold, because he did this [unjustly took the poor man’s ewe] thing and had no compassion” (2 Samuel 12:5-6). Men do not despise a thief if he steals to satisfy himself when he is hungry; but when he is found, he must repay sevenfold; he must give all the sustenance of his house (Proverbs 6:30-31). But when I say to the wicked, ‘You will surely die’ and he turns from his sins and practices justice and righteousness, if a wicked man restores a pledge, pays back what he has taken by robbery . . . he shall surely live; he shall not die (Ezekiel 33:14-16). Zaccheus stopped and said to the Lord, “Behold, Lord . 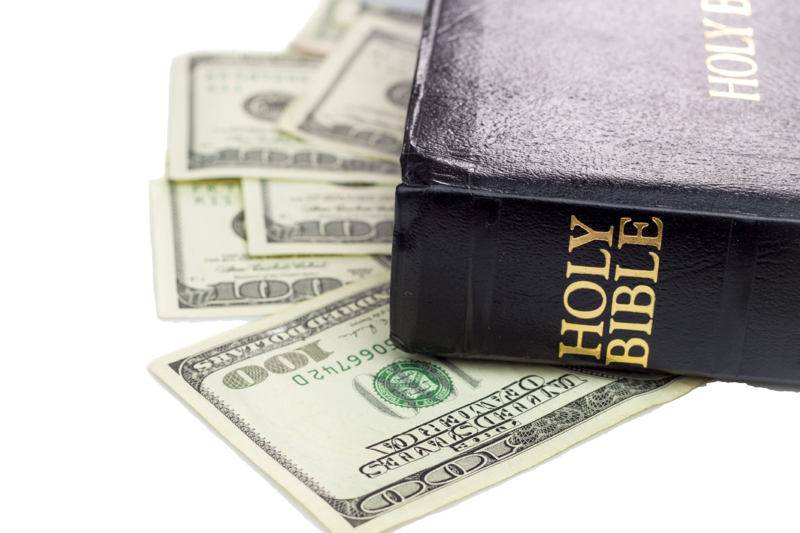 . . if I have defrauded anyone of anything, I will give back four times as much” (Luke 19:8).